Sun 26" Classic Chrome Plated Unicycle. 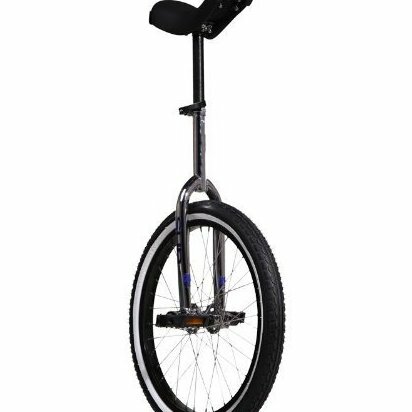 A classic & durable unicycle design ideal for beginners !. Each component is size specific to ensure excellent fit and performance. The built in scuff guards on the seat help protect the ends if they impact the ground while learning to ride !. The Q/R for the seat post makes on the fly fit a breeze !.